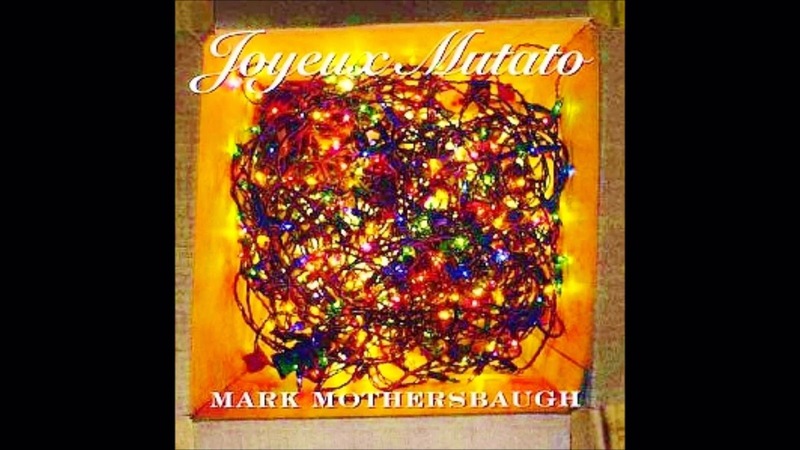 This 1999 collection of eccentric electronic instrumental Christmas music by Devo's Mark Mothersbaugh doesn't sound much like Devo, or, for that matter, Christmas music. It does sound really nice, tho. As the song titles indicate, the tunes suggest famous Xmas carols, and sometimes just barely at that, e.g. : the cartoonish "Midnight Windup Toy". And isn't "Soylent Night" the greatest title? I was reminded of this album after li'l bro Paul Fab told me about the big ol' Mark Mothersbaugh exhibit he saw recently at the Denver Museum of Contemporary Art. (That's Paul at the exhibit, above.) It's a career retrospective of Devo memorabilia and Mothersbaugh's prodigious visual art output. Check the short (exclusive! not on YouTube!) video below Paul shot of some crazy contraptions: "I believe he calls them Orchestrions. It's a gallery (his kooky rugs on one wall) with four Orchestrions which all play together. They're mostly old organ pipes, but also many bird calls, whistles, metal bells and other noisy things. They're cobbled together with visible electric (and barely electronic) controls all left out and taped into whatever position they're supposed to be in. Every 5 minutes they start playing. What a cool sound." Damn! Can't wait to see it. Once it finishes its Denver run, the exhibit will be on tour for a couple years. (I did quite like Mark's "Beautiful Mutants" gallery show in 2009.) Thanks to Paul for the pic and vid. [ Smiles ] Very original; I don't that that I have heard anything like it. There are two other versions of this set: 1) One put out in limited quantities by Rhino Handmade in 1999 (complete with red felt covers) and a later in the standard Rhino label with additional tracks, minus a couple track from the Rhino handmade edition. Good luck getting the full complete set.. Thanks a ton. I think this album is great.